oh gayle, this is my kind of ice cream. i love all textures together and the spiciness... homerun with this one for me! Looks like there are several of us i an ice cream mood. 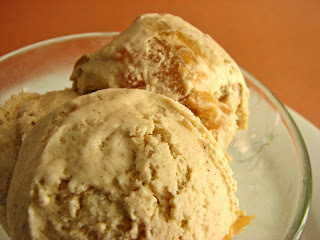 Love the textures of yours and can feel that cinnamon on my tongue! Gorgeous! ohh this looks just delicious! i love apples, too... they're just wonderful this time of year! this ice cream looks amazing! it's starting to get cold here in dc but i'd be willing to deal with it just for this. =) pretty pictures! WOW!!! The picture made me want to try this ice cream! Then I saw how you made it!!! Delicious! It is the images that are so tempting. 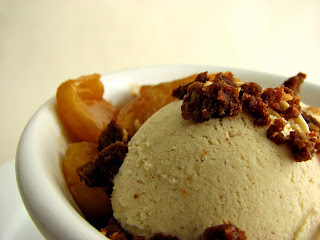 Ice creams are always wonderful and these innovative ones are more. i have apples coming out of my ears. this looks like a great recipe to help me get through them. 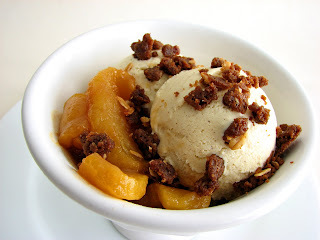 your apple ice cream looks sooo delectable! 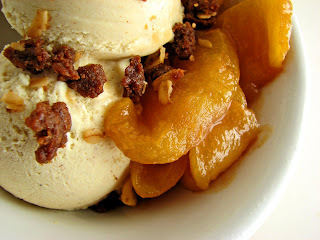 My fave is apple and ice cream,and with this recipe-2 in 1?WOW!